There's only one God, ma'am, and I'm pretty sure he doesn't dress like that. 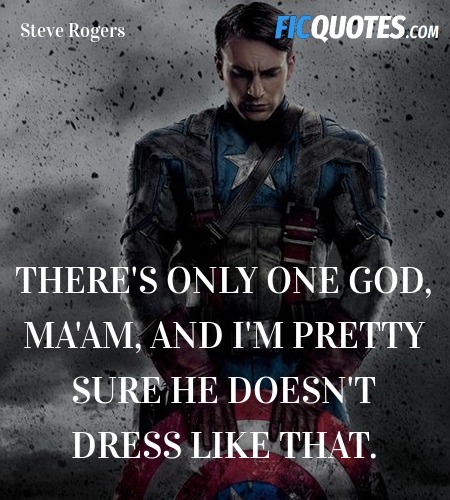 Captain America - "Only one GOD" Awesome Line!!! He's a spy. Captain. He's THE spy. His secrets have secrets. [to Bruce] You really have got a lid on it, haven't you? What's your secret? Mellow jazz? Bongo drums? Huge bag of weed?